We realize your creative project, with our primary competence beeing in the development and implementation of liquid plastic coatings. Since we are independent and not working for only one manufacturer of synthetics, we can flexibly adjust to any requirements and always offer you the best system. In addition to the design and application of individual, seamless flooring systems, we are experienced in coating walls and furniture. Through cooperation with leading manufacturers of synthetic systems, we are always "up to date" and make our designs permanently unique through daily development and inovation. In 1990, we started laying concrete stone as a Obrycki GbR. This was followed by laying of natural stone like granite and reko-marble, as for example at the "Gutenberg Galleria" in Leipzig or at the Congress Centre in Suhl. 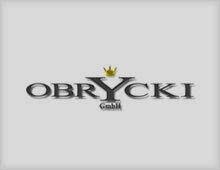 In 1995, under "OBRYCKI GmbH", in addition to natural stone we began to apply plastic coatings for industry and trade. 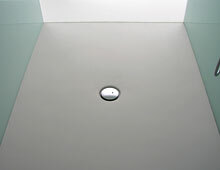 Due to high demand we shifted our focus completely to exclusive designer floors in the same year and in 2005 in addition to "Obrycki GmbH" launched "Obrycki Desingerboden GmbH" which specializes in designer-coatings.